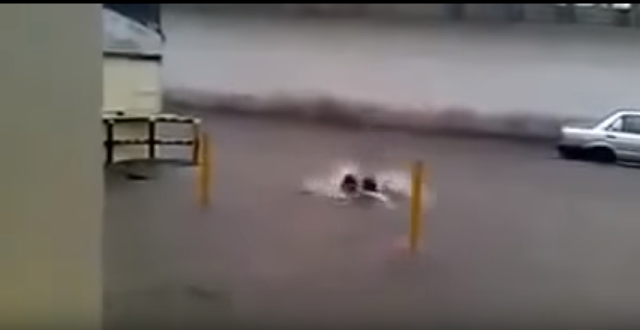 They say chivalry is dead, but this video proves it’s just trying to keep its head above water. 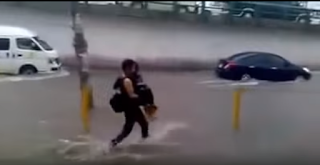 Apparently, a lady’s knight in shining armor still exists in our day and age, but it seems that this knight doesn’t do well in flood waters after he fell into an unseen hole while carrying his girl. Well, at least they learn to go through tough times together.